Jamia Abdulrahim, Coordinator from the Kibera Community Justice Centre and I paid a courtesy call to Pamoja FM-99.8 FM a community radio station in Kibera on the 6th of March. The station is located in Olympic Estate and the offices are housed in one of the bungalows. Once we entered through the station’s gate, one of the journalists, whose office is located at the ground floor a few steps from the gate, was able to see us and usher us to the waiting area which is shaded and cool with benches, where visitors can sit and chat. The environment is quiet and calm as the journalists go on with their duties. The station went on air in 2007 and its coverage area is about a 5km radius which reaches all of Kibera and its surrounds. 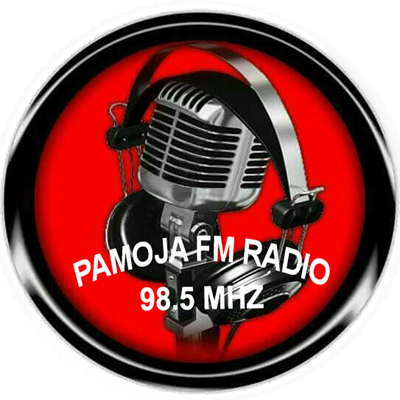 Pamoja FM, which means ‘together’ in Swahili aims at ensuring a peaceful co-existence among its various communities. On-air Pamoja FM discusses issues that directly affect the Kibera community which include poverty, sexual and gender based violence, drug abuse, HIV & AIDS, the environment and different forms of human rights violations. The main aim of the visit was to introduce the Citizen Justice Network to the station which aims to build journalism capacity for paralegals to develop stories on social justice issues. CJN aims to nurture a partnership between Pamoja FM and Kibera Community Justice Centre. This will be in line with the centre’s vision ‘towards an empowered, involved and responsive society in governance’ and Pamoja FM’s main goal of ‘entertaining, educating, informing and empowering’ the youth and the community members of Kibera. Citizen Justice Network works in Kenya through Kituo cha Sheria whose mandate is providing legal aid services to the poor and marginalized members of the society. CJN will provide training and editorial guidance to the paralegals to enable them to broadcast their stories in Swahili. Kituo cha Sheria has enjoyed a good working rapport with Pamoja FM in broadcasting human rights and education programmes in the past and also a platform to broadcast their advocacy campaigns. The project was well received by the representatives of Pamoja FM. This collaboration will give their listeners a platform to inquire about human rights violations and get assistance on where to report the cases and get legal assistance. Kituo cha Sheria will also be receiving these cases from the Community Justice Center and further offer legal assistance where needed. This partnership will also create a platform for the Kibera community to be active and present on social justice matters and further open up opportunities for the Kibera community. Right to left: Suleiman Shabaan-Pamoja FM Assistant Producer, Jamia Abdulrahim-Coordinator Kibera Community Justice Centre, Nzembi Ruth-Paralegal Coordinator KITUO/Citizen Justice Network and Philip Muhatia-Programmes Manager Pamoja FM.